For a small business owner, having immediate access to information about their business can be one of the most important factors in making sound business decisions. Accounting software can provide a small business owner with a wealth of information that can lead to tax savings, improved cash flow, and better internal controls. The information that an accounting software title provides is only as good as the information that is entered. This is why it is important for a small business owner to accurately setup their accounting file before they start to actually use it. Many times this will require hiring a professional small business software consultant who knows how to setup your company file based on the business’s specific needs. As a small business owner, many wonder where they should start after they have purchased a small business accounting software package from their local office supply store. Be sure to check out this following PCMag article that will guide them through organizing their information before entering it into the software, after it is entered, and beyond. Taking these steps is one of the most important aspects of running a small business for if you put garbage into your accounting software you will only get garbage out. Taxpayers that gave to a charity in 2008 may find it difficult to accurately assess the value of their household items that are donated. IRS rules according to Publication 561 require that items are given a Fair Market Value (FMV) based on what the item would sell for on the open market. Many tax preparation software titles have a donation calculator built in. Here is a nice link from the Salvation Army to cross check what your software calculates or to use alone. Most lists are adjusted yearly and there are times when appraisals may be needed. Also, it may be a good idea to check more than one list because FMV amounts can vary. Intuit states that they will not be able to fix all the issues at once and request that users of the 2009 product be patient. Many small business software consultants are advising their clients to wait on upgrading to the new 2009 version of QuickBooks. Another option is to look toward other more stable options for your small business accounting software. Maintaining a stable accounting system is important for any small business owner. The President has signed the much anticipated American Recovery and Reinvestment Act of 2009 that will provide the country with almost $800 billion in economic stimulus. Of that amount, about $300 billion is for tax relief. So as a taxpayer, many wonder how this will affect them. The bill provides for tax relief for individuals and business owners in many areas. Specifically the tax relief is broken down into general tax relief, education relief, AMT relief (Alternative Minimum Tax), business relief and energy relief. Many of the provisions in the tax relief take effect in 2009 and beyond, but there are a few that take effect retroactively for 2008. For details of the tax provisions and how they will affect your current and future tax filing seasons be sure to speak to your professional tax advisor to find out which provisions will be beneficial to you. The IRS had made a concerted effort in the past few years to close the tax gap through enforcement and compliance. There have however been problems with the execution of their plans. With high workloads and low employee levels, closing the tax gap has been quite a large task for the IRS. Well now the IRS has more problems to deal with since a new report by the TIGTA (Treasury Inspector General for Tax Administration) reveals that the IRS has not been effective with their cases that involve large dollar amounts. The IRS estimates that discontinued collection accounts total around $209 million. Guess the new report means that there will be a delay in building the bridge to close the tax gap. The advent of technology has made a significant impact on the lives of the small business owner. There are a myriad of tech tools out there that can help a small business owner mange their businesses more smoothly (many have been mention in our posts). One major tool is accounting/bookkeeping software and when the software is properly setup, important information is at the fingertips of the small business owner. Looking ahead tomorrow, accounting software is continuously evolving. Recently two former QuickBooks employees received 2 million in funding for their online bookkeeping service business. The new service called Outright.com plans to focus on SOHO (small office home office) types businesses. Small business owners will now have the access to their financial information anytime, anywhere. The news is interesting for two reasons in my opinion one, small businesses are receiving investment funds in this economy especially when your idea is forward thinking and progressive. The second reason is that the funding move is a good example of where technology is taking the accounting/bookkeeping world. As a small business owner always look ahead so you too can account for tomorrow. For those of you out there that are interested in processing your own payroll or would like to cut down your payroll processing time, be sure to check out online payroll processor Paycycle’s website. By using an online payroll processing resource like Paycycle, the headache of processing your payroll, withholding the correct amounts, and paying the taxing agencies will go away. For those that are new to processing payroll, be sure to pick up a copy of Payroll For Dummies a free booklet being offered by Paycycle. 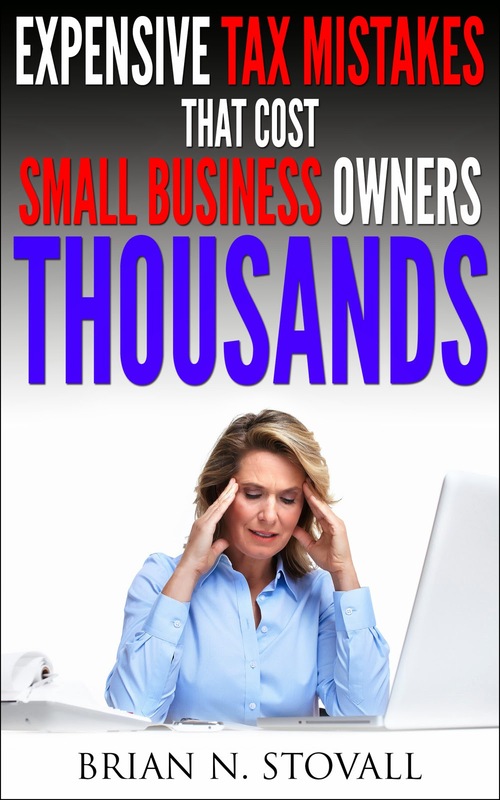 The booklet will provide any small business owner with the necessary tools they need to process their payroll quickly, efficiently and with fewer errors. For most of us, the year 2008 could not have gone away any faster. This is especially true for many taxpayers that saw the majority of their investments fall considerably as the financial markets took their swan dive. As tax season moves into high gear, and taxpayers eagerly anticipate their tax refunds; a recent IRS article informs taxpayers to not file their returns so fast for they may not have all their year end forms. Many of the year end forms from brokerage firms, mutual fund companies and barter exchanges may not arrive till mid February. The change for certain Form 1099’s to mid February was enacted last fall and will provide investment firms more time to ensure the accuracy of their forms. The change will hopefully reduce the rate of amendments by the investment firms and ensure taxpayers tax returns are filed correctly. If you have not received your year end statements from your investment firm, don’t fret, it should be in your mailbox by the 17th of February. As the war for internet browsers begins to heat up, there is one other variable that small business owners should consider. If you are a small business owner that uses an online bookkeeping solution like QuickBooks Online Edition, and you use a web browser other than Internet Explorer, will you be able to access your data using another browser. Recently a client had a problem accessing their data using the Firefox web browser and luckily there is a fix for the problem by simply locating an add-on for the Firefox browser. The add-on allowed the client to continue to use their existing web browser at the same time being able to access their data. There was no change on our end since we use Internet Explorer. Small business owners are sure to check for additional add-ons to many of the new and improved web browsers if you are not running Internet Explorer so that your business can continue to run smoothly.